Level 75 player here. Last 2 days ive gotten AWFUL matchups on the very first node. Tonight, a level 85 bastilla/jolee team that completely destroyed my best team. So yeah...I beat ZERO nodes in GW today. Feels great. 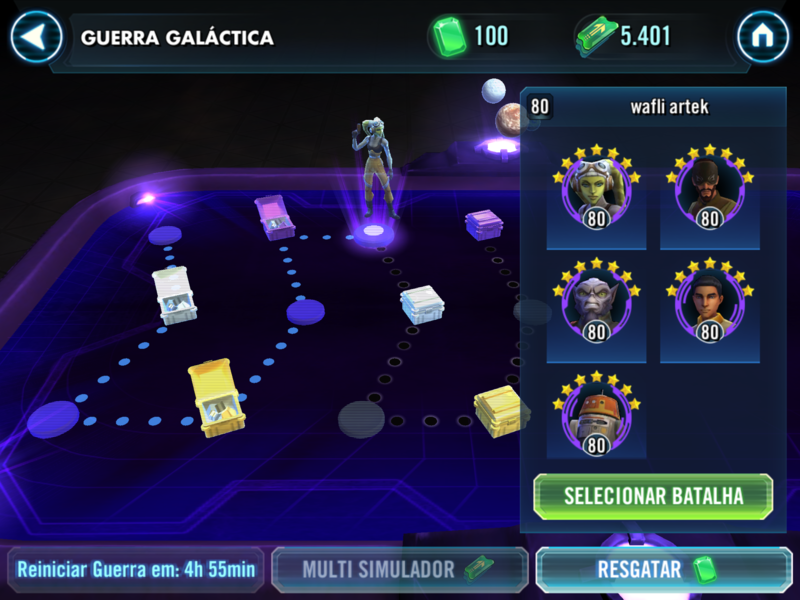 Last night, it was like a level 82 bastilla team AGAIN on node 1. What is up with this? Not fair, and for sure not fun. This should happen...maybe on the FINAL NODE from time to time, I could understand that. But node 1?? Why??? If it's any consolation, you're not alone Several others have reported the same problem, including myself in another thread. How many nodes were you able to play the day before? 10 or 11? That happened to me for two consecutive days too. What’s the point in putting impossible teams to beat on the first nodes ?? To have a more challenging game ?? It’s not challenging if you don’t stand a chance to beat it. Why don’t you put those “challenging” teams on the last nodes ? 7th, 8th and so on ? I can tell the difference between a good challenge and an impossible one. 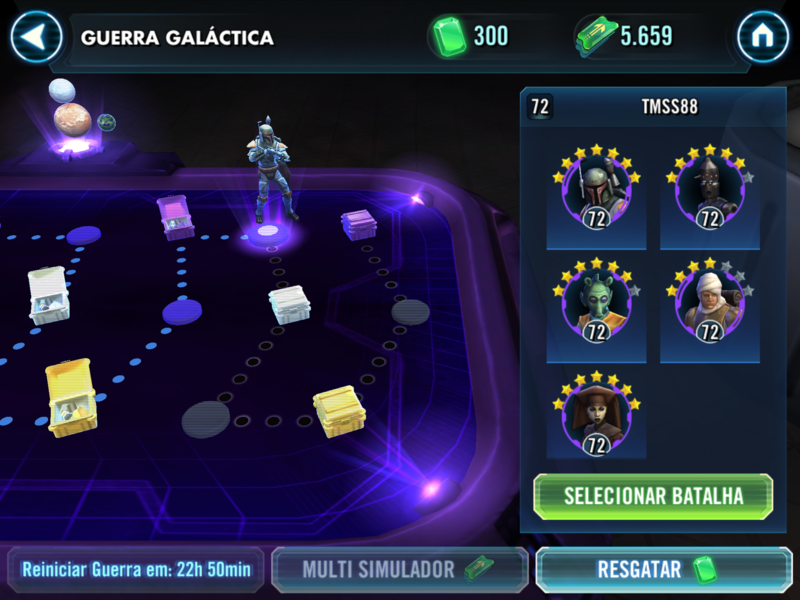 The galactic war is the worst that this game has to offer right now, seriously. It’s so bad and infuriating that i am considering to stop playing the game. Jattack. The day before I found a “challenging” team on node 3. Node 3 ! I saw your post and I thought the same as you: “if I don’t make it far in this gw, maybe tomorrow I will get more easy teams”... not true, at least for me. What I noticed was that it has something to do with the arena. When I was earning 300 arena points I had tougher teams than when I was earning 200. But still, yesterday, I was earning 200 and I got an impossible level 82 Phoenix team, High gear, high modes, in node 1. This started to happen after the update, it has never happened to me before, at least until I reached node 6. The devs must have done this on purpose, it’s the feeling I have. It doesn't have anything to do with arena. It has to do with your best-geared characters. If you want to stop GW from getting more difficult, then stop gearing your best heroes. Instead, concentrate on building the less-developed parts of your roster. In short, if you g12 your roster before L85, you're always gonna have a bad time in GW. If they were level 9 I would probably get a zeta team in my first nodes as things are right now. 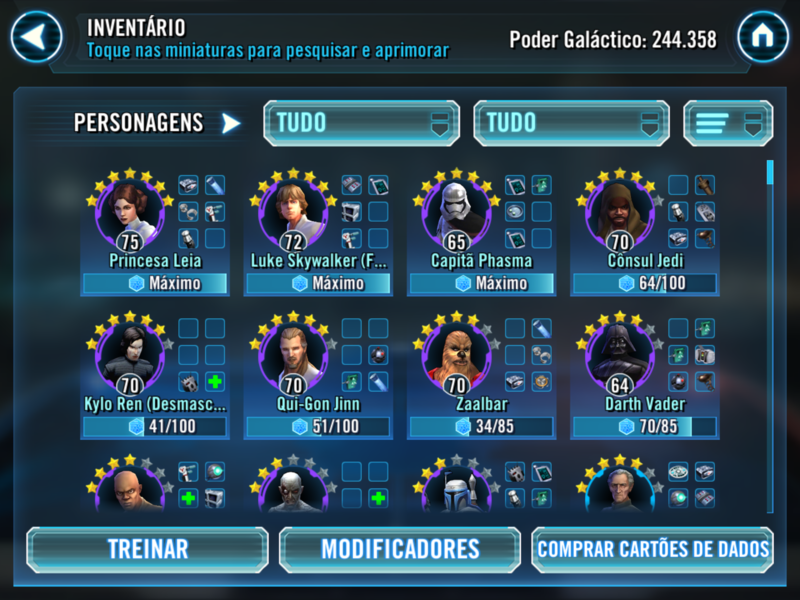 The day before I did beat that node 1 Bastilla team and managed to make it to the last node where I met another brick wall. Node 12, I'm fine with. Node 1 is not cool. It has to do with your best-geared characters. No, it doesn't. I've had the same top gear levels for weeks (we all know going from G8 to G9 takes a long time even for one toon). This literally changed seemingly overnight. Yes it does. It is known. Eventine, but that doesn’t mean that we should clash with teams that have higher gear on the very first nodes (I had all my characters with level 8 gear facing characters with level 9 and 10 gears). It’s reasonable what we are asking... I think. We are talking about the First nodes here. Why is my GW so much easier? I suspect it has to do with your character GP; Top5 in particular. I have been at L85 for a long, long time now. My total Character GP was somewhere around 640k when I hit L85 with a Top5 of ~44k (old numbers aka "stat power"). StHan 9200 g11, Qui-Gon 8938 g11, Royal Guard 8879 g10, Palpatine 8703 g10, and FOTP 8738 g11. What's your Top5 look like? Any g10? From what I can see, you should (probably) not be hitting teams like that at N1. I cannot say what is up with the GW algorithm for sub-85 players now, but it seems like there is reason to look into it. 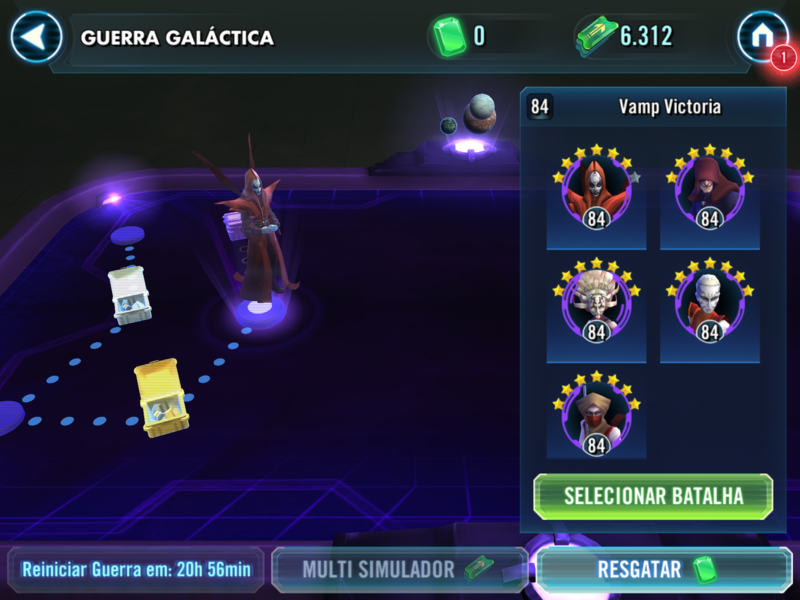 Oh, but I wanted to mention that I DID hit a Bastila lead on N1 a week or two ago, and I had to break out a good team to beat it rather than my typical low-level GW development squad that I would normally run. 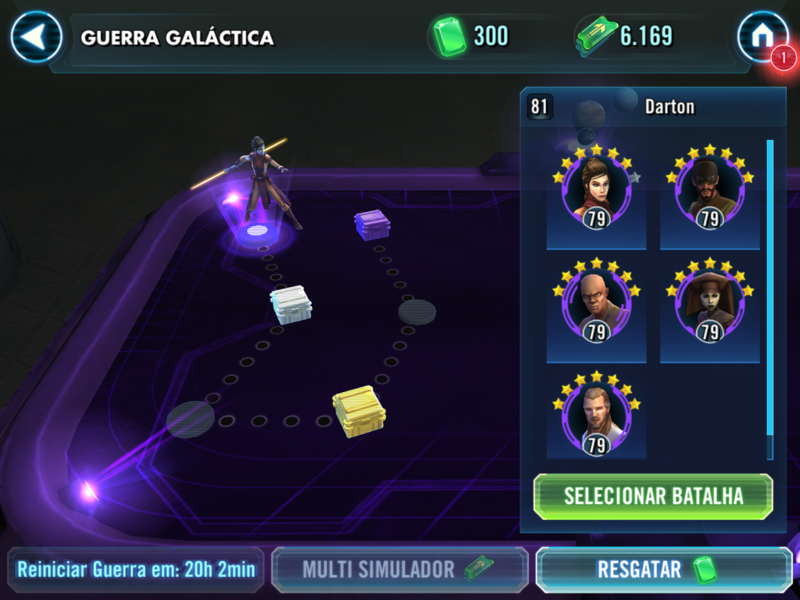 Bastila seems to be more than the GW algorithm can deal with. Today I reached the 11th node, finally ! Tough as hell but made it after 4 days. This was the day before yesterday. Keep in touch. The next time I get an insane match up in the first node, as it happened before, I will post here. The one above was in the 4th node... didn’t stand a chance. I am playing this since July I think. A bastila Jedi team with Yoda could take that team easy with no TM advantage. Based on your Gear and star spread over those 12 characters it looks like you may be a bit top heavy as well. Unless the ability levels on that Phoenix are low, that's way too high a power level for your top 5. That would be a fine battle 9 or 11 though. You are probably right, the ability levels must have been low. Reached the 10th node and got stopped by this. That node 10, while improperly placed, is probably within what I would expect for your roster level. Unfortunately your roster looks to be a bit top heavy so once your top guys are gone, nobody is taking those BH down. When people say "sometimes GW is tough, so you come back and do it again tomorrow", this is what they are referring to. Yeah, I am ok with this, as long as these teams don’t show up on the first nodes ( I won’t get any green shards that way ). If they do show up, that’s kind of annoying. If I can’t beat it, it’s fine. Actually it makes things more interesting, as long as, and i say it again, I get these teams on the last nodes (past the 6th node). You have the tools available to win that battle, the question is how good your modding is vs theirs, most importantly can you land stun or ability block on Bastilia before she gets a move? You really need to work on building a more coherent A-team though. Long term player here that also used to complain about the failures of the GW matching algorithm. The algorithm is based on "Stat Power", not "Galactic Power". 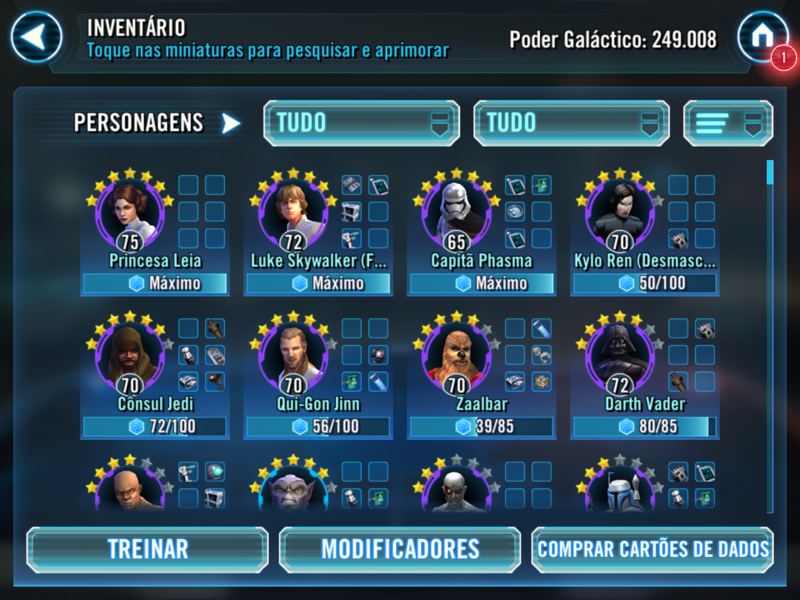 You can see stat power in swgoh.gg, in the top right section of an individual character in your roster. Stat power has more to do with the characters statistics (offense, health, protection, defense, etc.) than Galactic power, which reflects development (ability levels, gear levels, character levels). Opponent teams are based on an increasing percentage of the stat power of your top 5 (sometimes thought to be based on the higher of your own arena team or the team that you used on Node 1 of GW...not sure we ever figured it out definitively). The higher the node, the higher the opponent stat power. with some exceptions for 3,6,9,11 and 12. Stat power does a REALLY bad job of representing things like Zetas, leadership abilities, and team synergy. So teams that have low stat power (not well geared tanks), great leadership abilities (Bastila) anb/or great synergy (Bounty Hunters) will outperform their "stat power", making for particularly difficult matchups in the early nodes of GW. This should be much more true now than it was a year and a half ago when I was still fretting over GW on a daily basis because character kits are so much more powerful and complicated. Bastila's leadership without the zeta is a tremendous advantage and now that multiple Jedi are viable again (GMY, Ezra, OB to name the easiest to obtain), can create problems. Finishing GW regularly is about having teams that can regenerate protection and health. Phoenix is a good easily accessible team for TW early on. Bossk, even without the zeta, can help power BH through early nodes and are particularly hard to kill. @Jpplayer given that you're not that far along and you have a roster that doesn't have a lot of continuity to it, it might make sense to read some of the starter guides (check out Warrior's four pillars as a start, though it might be a bit dated) and maybe start over. You'll be happy you did (take it from someone that plays three accounts actively). 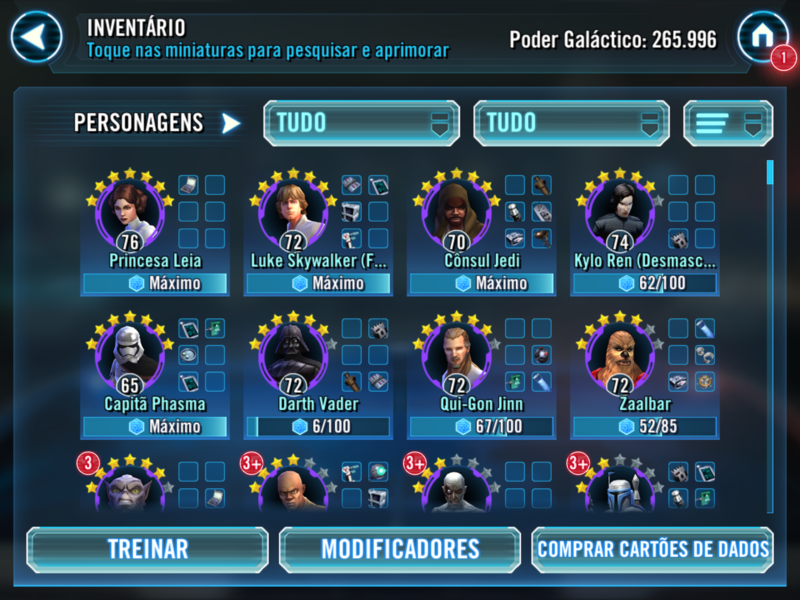 So, to sum up, all I need is a bastila and to accept what the game as to offer. Got it. 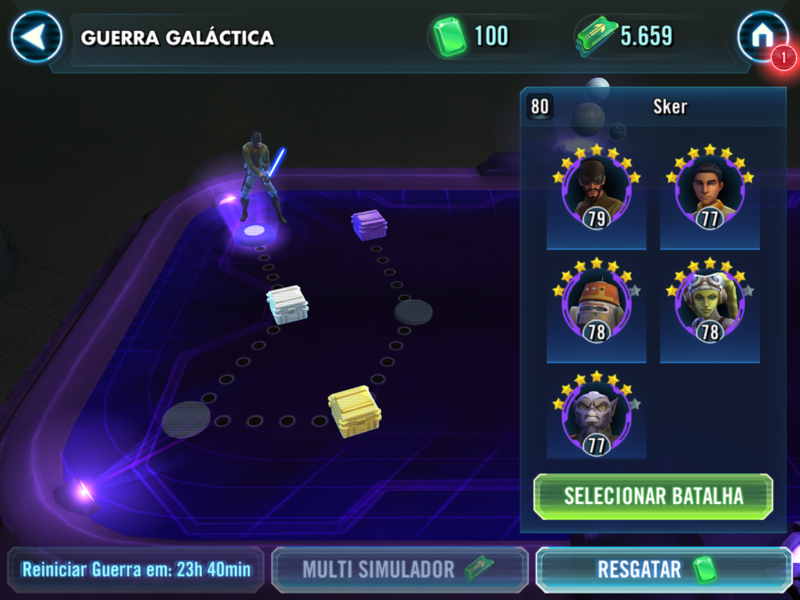 My feedback on the galactic war - your algorithm is unfair to weak players, who are the ones that need green shards the most. And thanks for the responses. Appreciated them. If you want to continue playing this account I would evolve what you have into a more coherent squad before spending resources on Phoenix. I can't imagine trying to run two accounts but ok.
You may be better off ditching the other account and just following the meta path with this one. Whatever makes you happy.. a game is supposed to be fun not work.